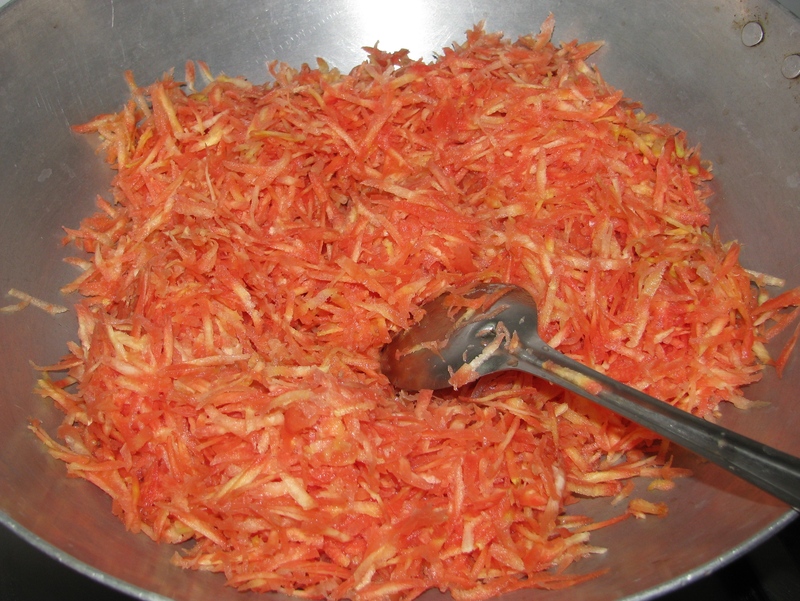 Winter marriages and parties have one dish which is very common and i.e gajar ka halwa or gajar ka gajrela ( carrot halwa ). In winters the red, long, sweet carrot are in abundance with all the vegetable venders and gajar halwa taste best with this red carrot only. I have tried this recipe in microwave as well as pressure cooker but gajar halwa tastes best when it is cooked with its traditional method of slow cooking with milk (no condensed milk). Don’t add readymade khoya ( mawa ) in gajar ka halwa , boil the whole milk with gajar and cook it until it becomes dry in grated gajar. 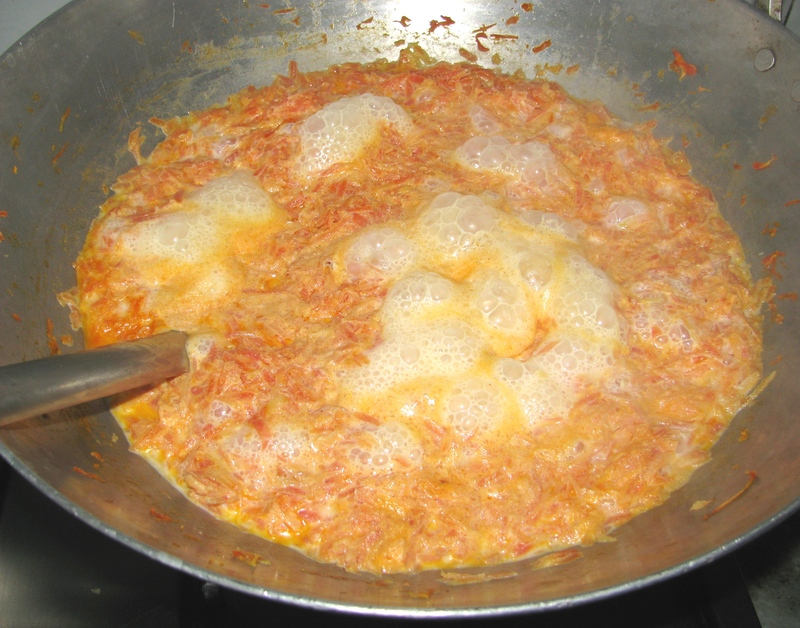 In short we will make khoya ( mawa ) while cooking milk with carrot (gajar).If you cook gajar halwa in this way each and every particle of gajar will have that khoya ( mawa ) taste in it .For 1 kg gajar ka halwa 1 litre whole milk is required . Ingredients used for making gajar ka halwa are very less; the main ingredients are milk / vegan milk , carrot (gajar) and sugar / sugarfree natura .Preparation time to make gajar halwa of 1 kg gajar is around 15- 20 minutes and cooking time is around 45 minutes , for last 10 minutes of cooking you have to stir it continuously otherwise occasional stirring is required. It’s very easy to make Indian sweet recipe . 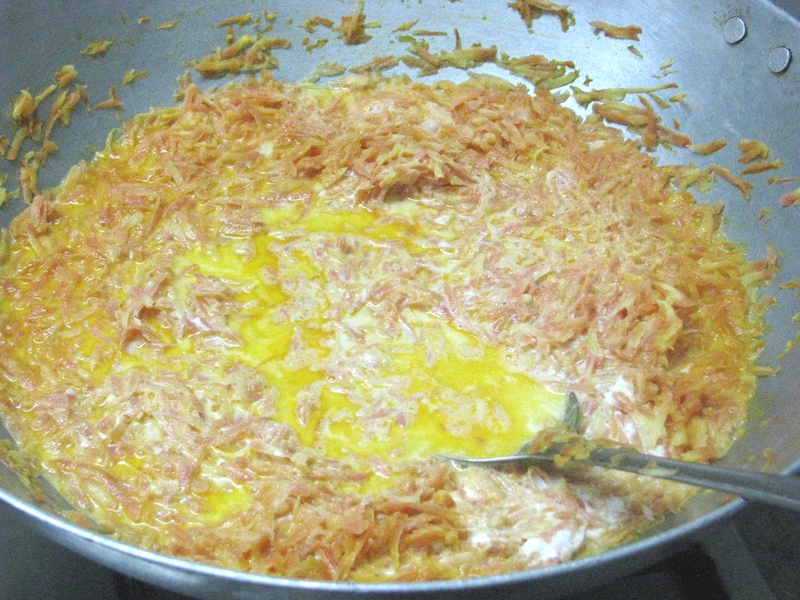 When i was in hostel me and my friend made gajar ka halwa. we had only induction stove one container and a small knife with us , we made small pieces of gajar and made this halwa with grating it . That halwa was the best sweet dish in my hostel days . 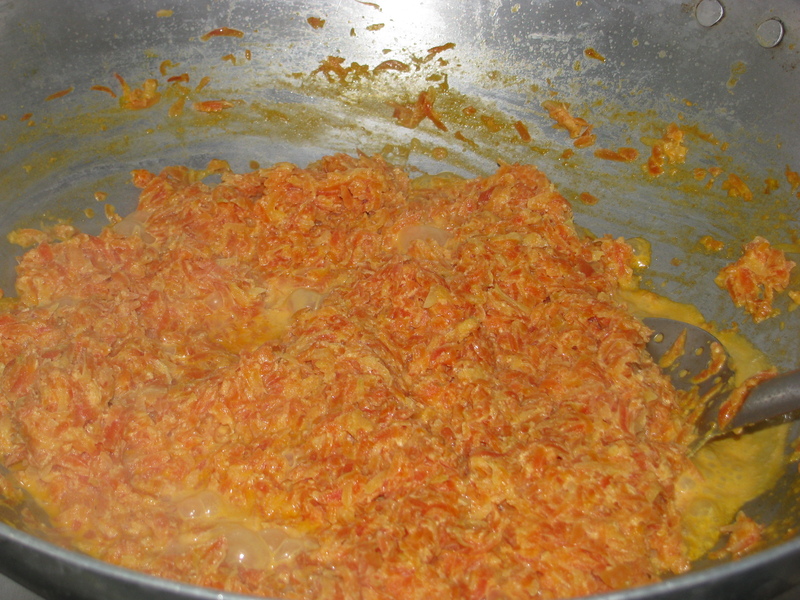 Gajar halwa is the easiest indian sweet dish which u can make and it never goes wrong . If you are on diet or diabetic and still want to eat gajar ka halwa use tonned mik / skimmed milk , sugar free natura diet sugar and 1 teaspoon ghee in place of 1 tablespoon . gajar halwa taste good even if you cut this extra calories . You can make your Gajar halwa (carrot halwa) vegan by adding almond milk / coconut milk in it . its tastes best with both almond and coconut milk. 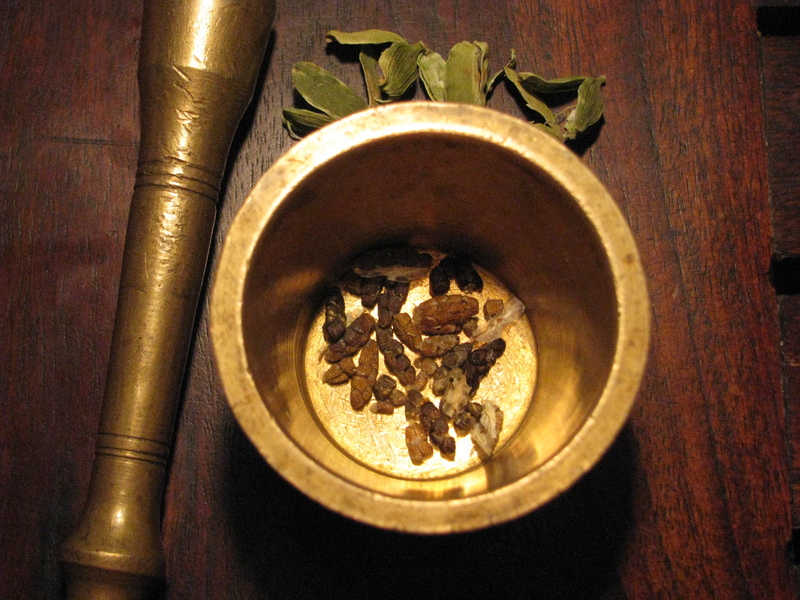 Add badam oil or cannola oil for roasting grated gajar to make gajar ka halwa vegan. 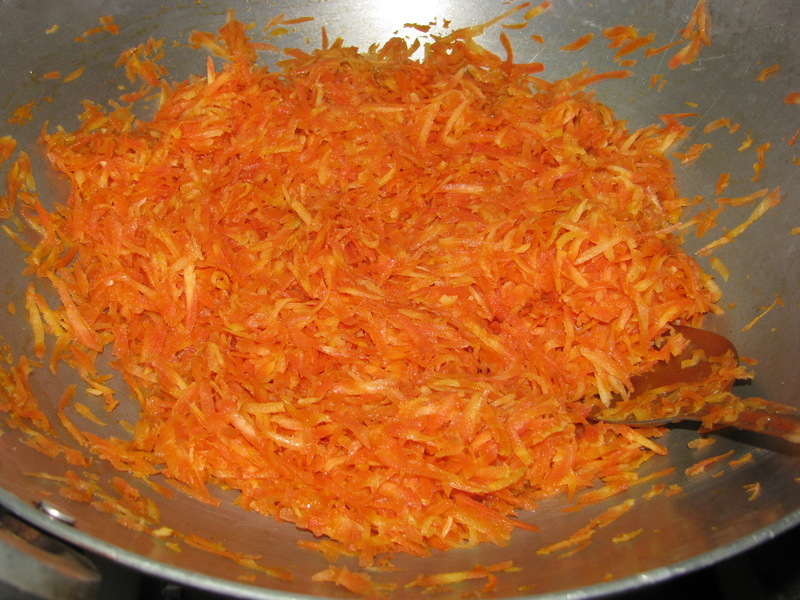 Wash gajar (carrot) nicely.Remove its skin with the help of peeler , and grate it with thick grater. Heat 1 tablespoon of ghee in a big kadhai /pan and put grated carrot in it and sauté it on high flame for 5 minutes. Add 1 liter of whole milk / 1/2 liter almond milk in the carrot and cook it on high flame stirring it occasionally, this will take around ½ an hour for the mixture to become thick. Now taste the Halwa according to its taste add sugar or any sugar substitute in it and cook it on low flame stirring it frequently . 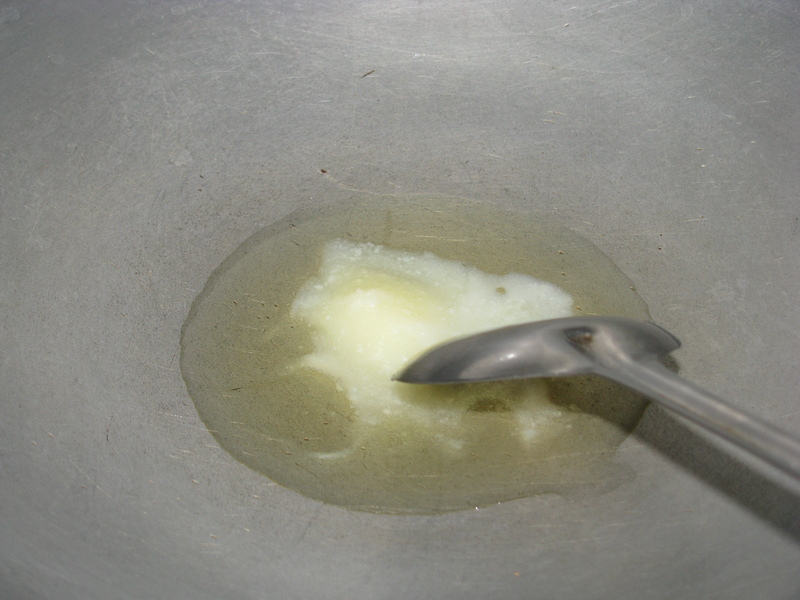 when it becomes little dry and ghee seperates from mixture remove it from flame and add cardamom powder in it . 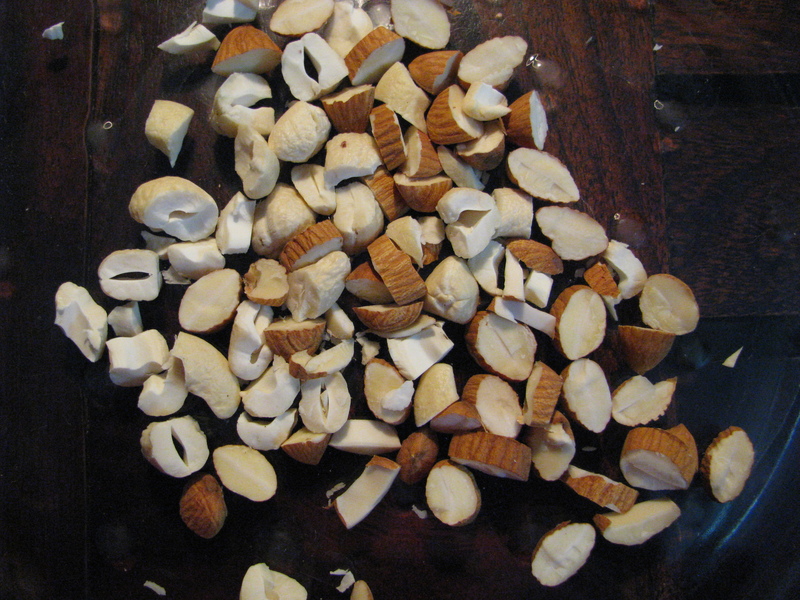 Take all the chopped dry fruits in microwave safe bowl and keep in microwave for 1- 2 minutes. add all the roasted dry fruits and raisins in gajar ka halwa ( carrot halwa) and mix it nicely .. if you want you can roast the chopped dry fruits in ghee or without ghee in pan . No need to grate carrot with thin grater you can grate it with the thick one , This will save your time of grating . While cooking with milk gajar (carrot) will become very soft and will be in small pieces and thin grated carrot will become very much mushy while cooking with milk. If you don’t want to add milk or want to make vegan gajar ka halwa you can use almond milk for cooking purpose but yes in that case you have to grate gajar (carrot ) with thin grater and add 1/2 amount of almond as compare to whole milk . Easy almond milk recipe is nicely illustrated by Tori in How to Make Almond Milk . 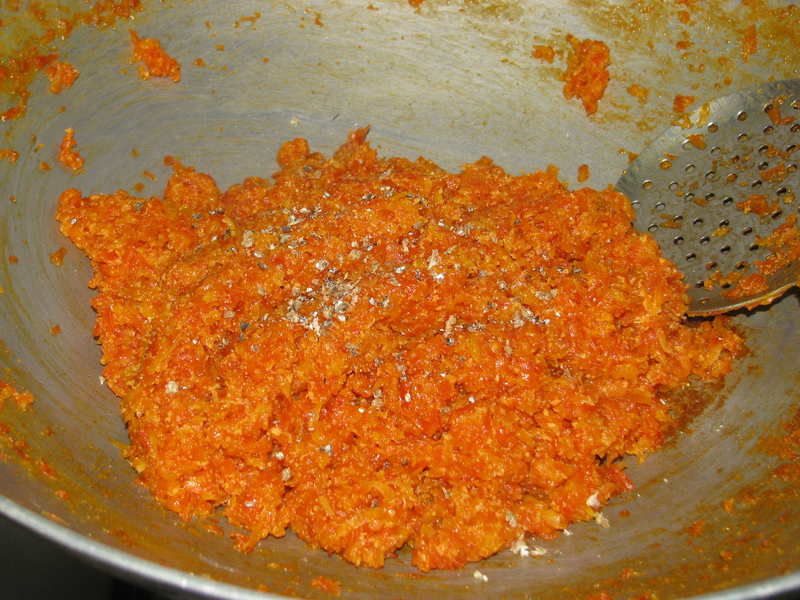 Add sugar in gajar (carrot) according to taste of gajar (carrot ). Sometimes they r very sweet and and no need to add even 1 cup of sugar in 1kg carrot . 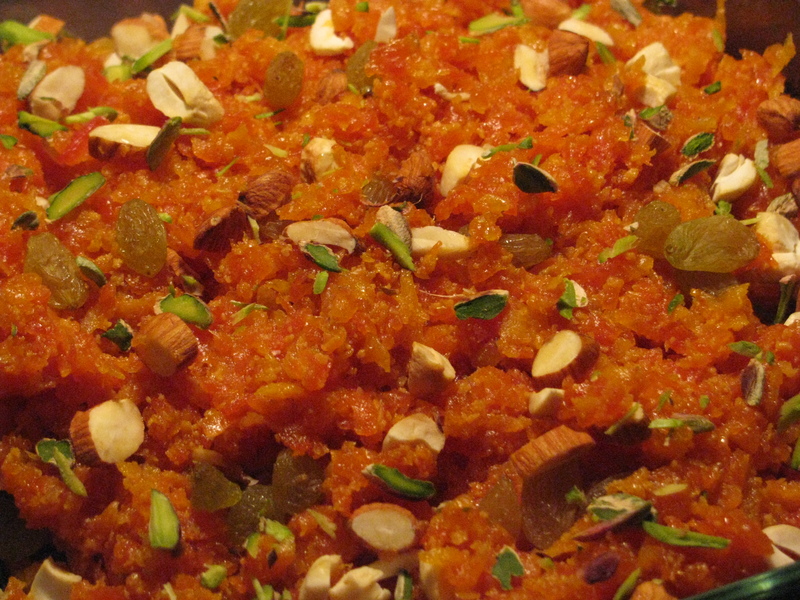 Tips for making gajar ka halwa (carrot halwa) low calories and healthy. Add tonned or skimmed milk to make gajar ka halwa low calories , well there is a slight change in taste but it tastes good. To make gajar ka halwa more healthy and nutritious use almond milk / coconut milk in place of milk. Almond milk is rich in protein and is very nutritious .Coconut milk has lots of benefits it is good for hair growth ,builds bones strong and good for skin. 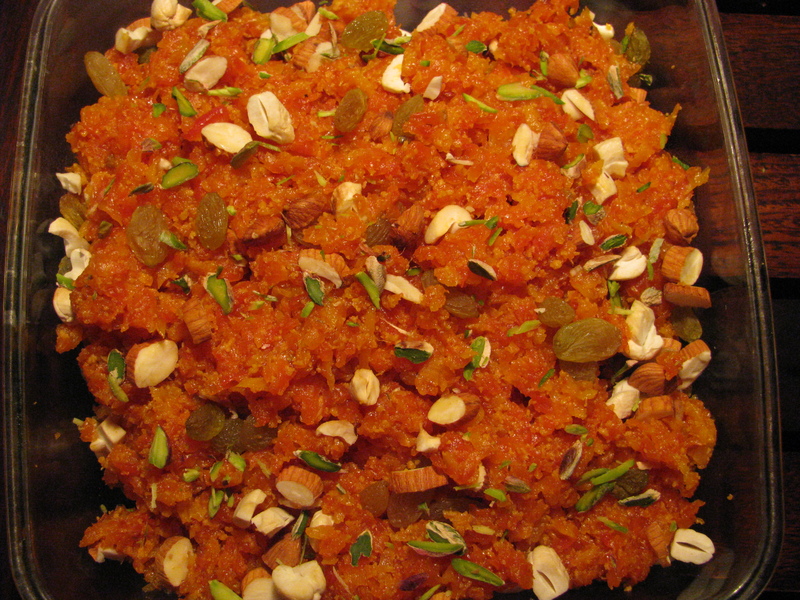 Use sugar free natura to make gajar ka halwa low calorie, it’s a best option for diabetic. 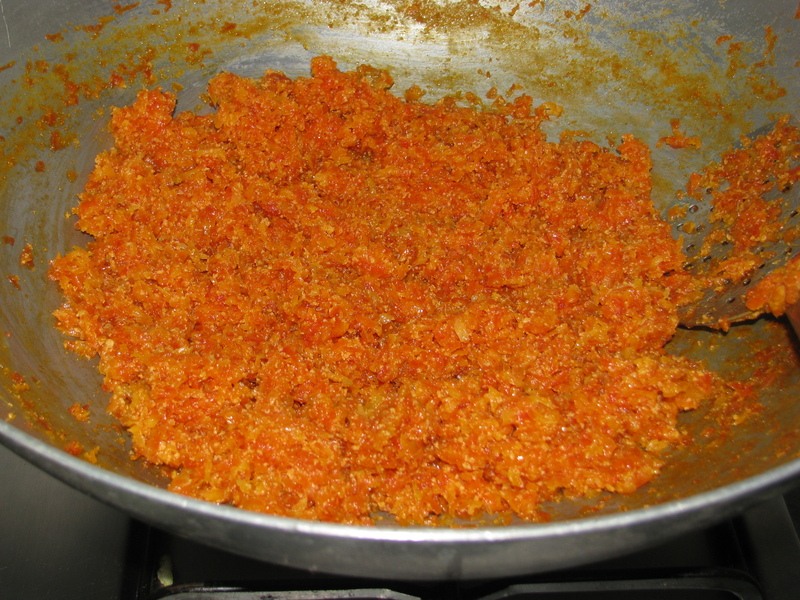 Don’t use ghee to roast grated carrot to make gajar ka halwa low in calories. 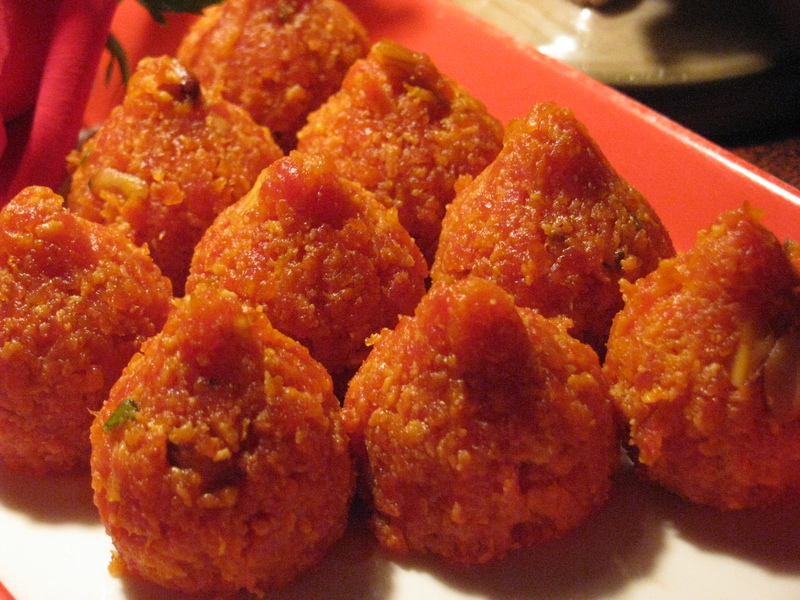 I have also made Healthy modak from coconut carrot halwa which is a modified version of carrot / Gajar ka halwa recipe .